Polished sterling silver. Thickness: 3mm. Weight: 5.92 grams. Earrings measure 2 3/16 inch wide. Made in the USA. I would purchase this item again, quick, easy. Now I want to buy another set for my grandbaby these are so nice. 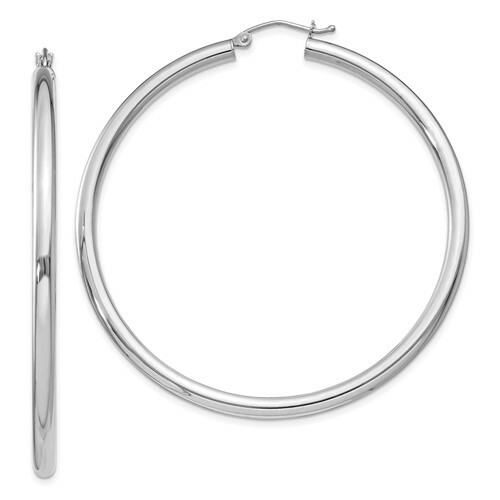 Sterling silver earrings were the thickness As indicated. Very Happy about that.? ?